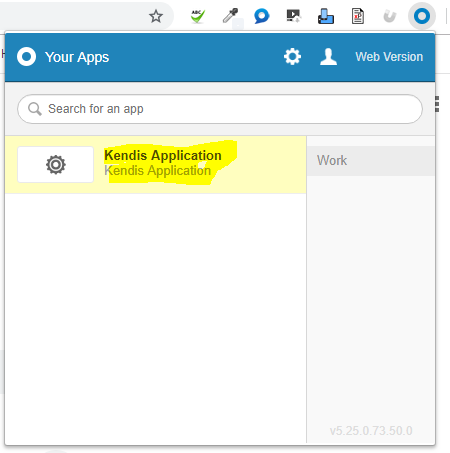 In this article, we will explain you the steps to configure OKTA integration for Kendis. 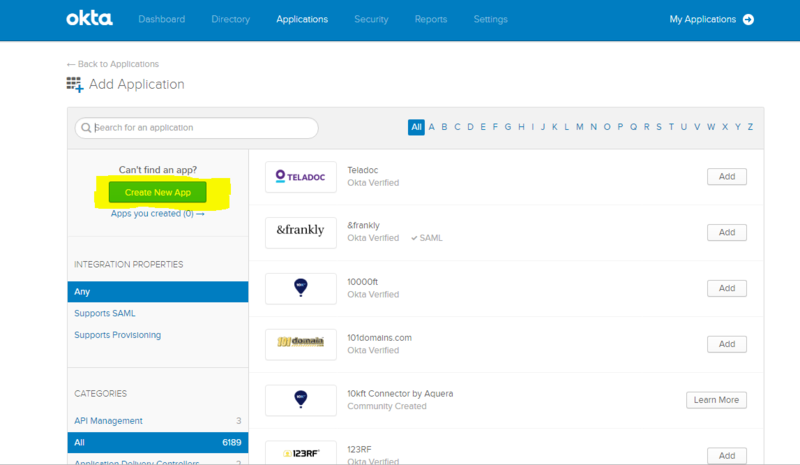 Login at your OKTA account and go to OKTA Dashboard. 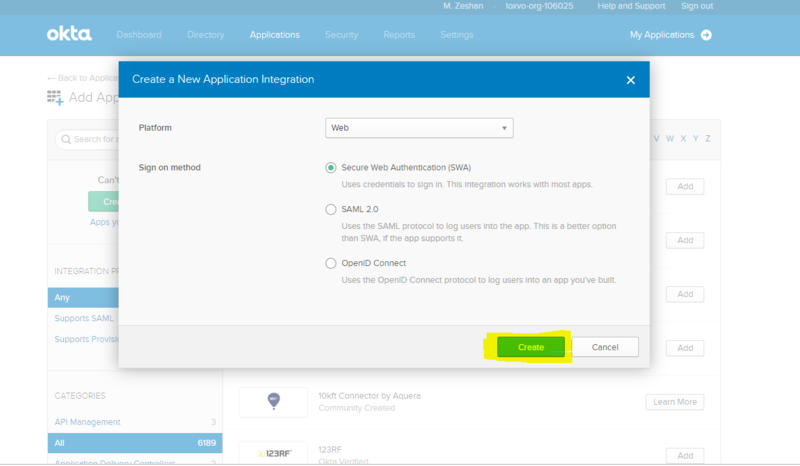 At the Create a New Application modal view, keep the default selections as "Web" and "Secure Web Authentication (SWA) and click the "Create" button. At the Create SWA Integration view, enter details as shown below. 2. How will users sign in? Select the values accordingly or keep the default selection as shown in below screenshot. After making selection click on the Finish button highlighted in above screenshot. 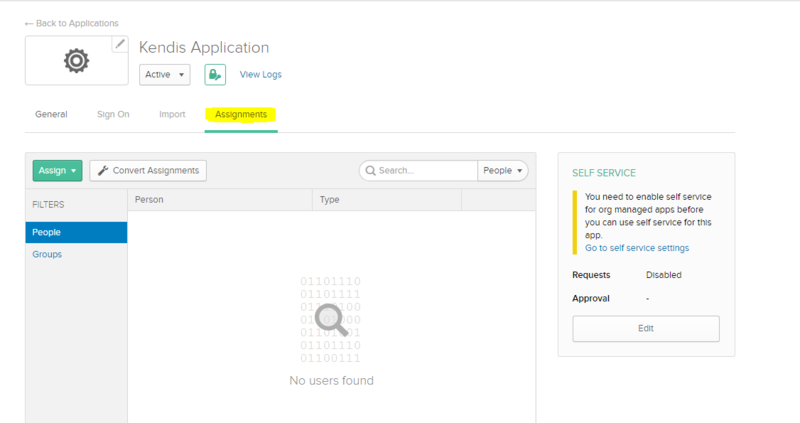 After creating the application you will be landed on the application settings page where you will add the users or groups to this application. 6.1 Select the Assignment tab. 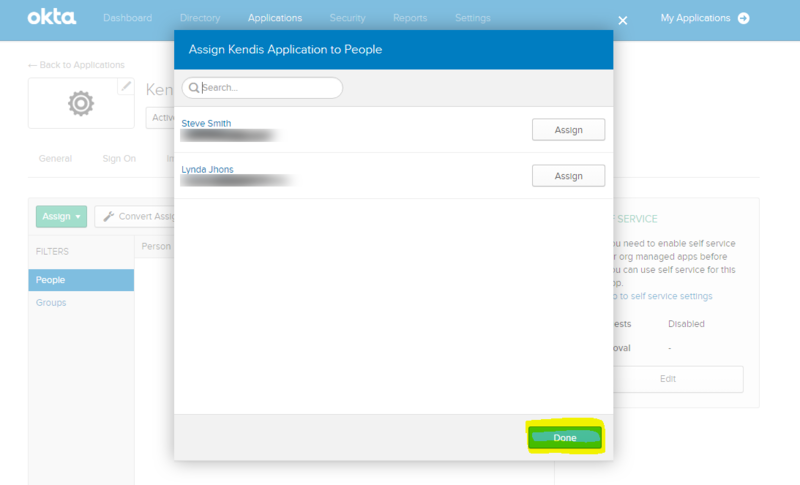 6.3 Search the person(s) you want to assign the Kendis app by clicking on "Assign" button as highlighted below. 6.4 Click on the Assign button for the user you want to add and it will show you a modal view that looks like below screenshot. Simply click on Save and Go Back button. 6.5 Once all the users and groups that you want are added, simply press the Done button. 6.6 All your selected Users/Groups will start reflecting in the list. 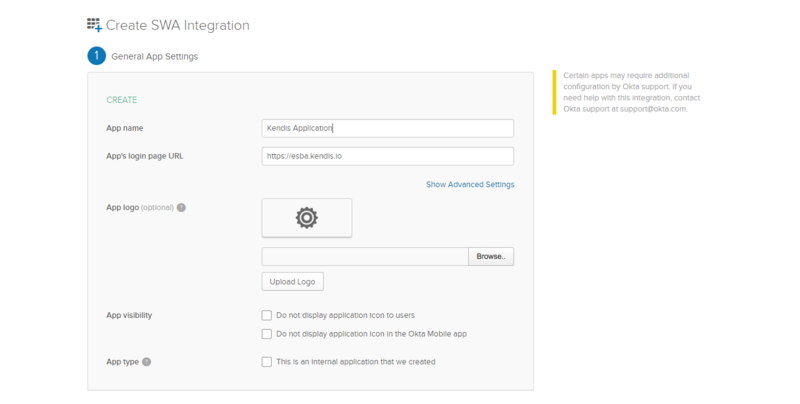 Login into your OKTA account and then navigate to browsers extension section and click on OKTA. 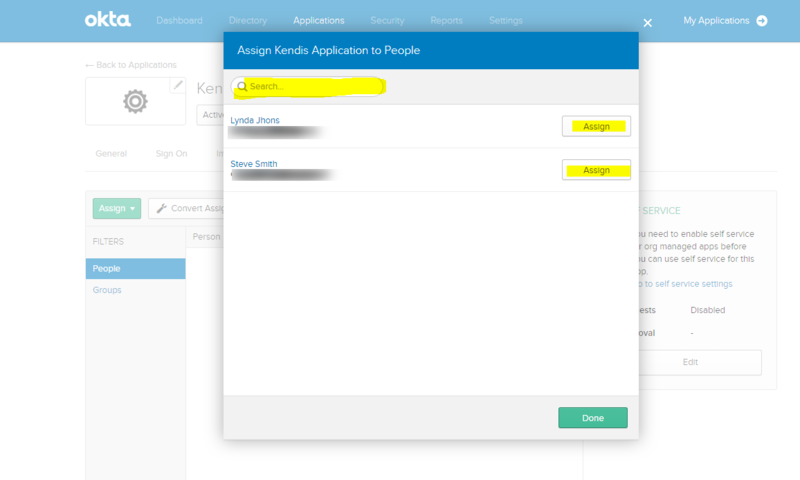 Your Kendis application will be visible there. 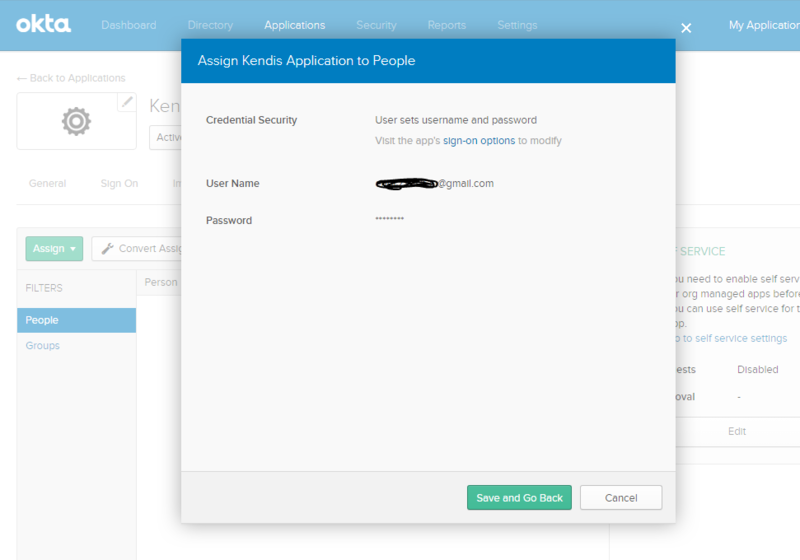 Note : If you are navigating to the application for the very first time then application will ask you to enter your Kendis credentials, username (email) & password. Type your credentials and click on the Sign In button. 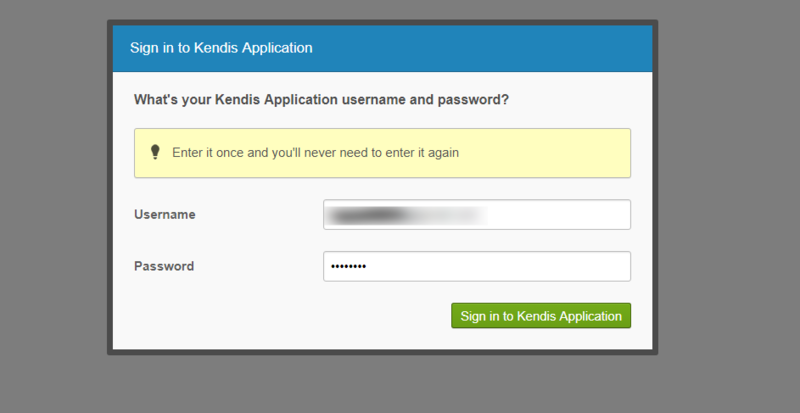 Once the previous step is successful done and you are able to Sign in to Kendis application, you will not be asked for your password again for the next login. 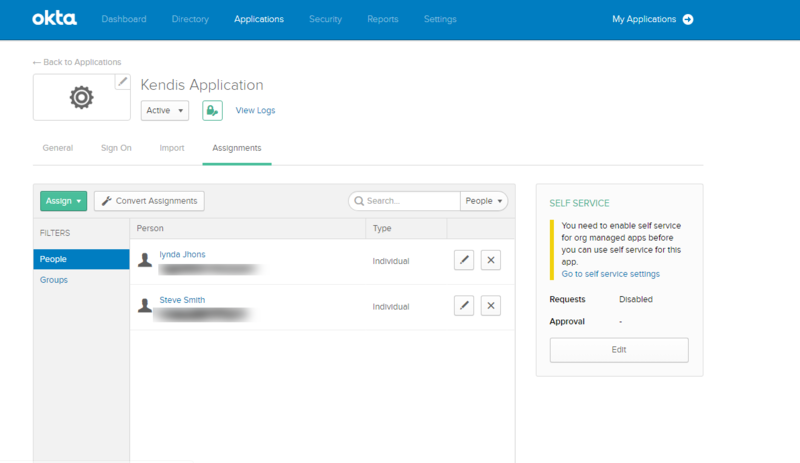 Whenever you want to login, simply click on the Kendis application link from OKTA extension at your browser and you will be able to login without entering username and password.